Stainless steel tubing is our specialty at Stainless Tubular Products Inc. We maintain one of the nation's largest and most diversified inventories of stainless steel tubing, including round, square and rectangular models. Our ornamental tubing is available in a variety of sizes and can be cut and polished to your specifications. 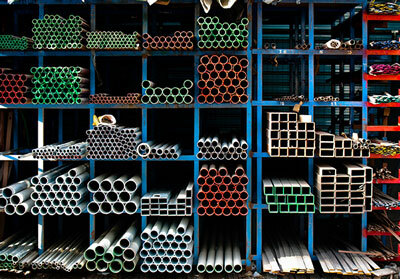 We also stock welded & seamless pressure tubing. Stainless Tubular offers a wide range of stainless steel tubing products including type 304 and type 316 stainless steel. Type 316 stainless steel tubing is similar to 304, but with the addition of molybdenum, which improves the alloys corrosion resistance. The austenitic structure allows excellent toughness, even down to extremely low temperatures. These grades have excellent weldability, with or without the addition of filler metal. Look to see our extensive selection of stainless steel tubing. Then contact us, and we'll be happy to help you order just what you need. We are also available to answer questions you may have about our ornamental stainless steel tubing. Ornamental stainless tubing is our specialty at Stainless Tubular Products Inc.
As a market leader in tubular products, STP stocks a wide variety of metals, grades, and specifications. Our extensive inventory not only covers standard industry sizes, but also those hard to find sizes.